As you know, abusive relationships don’t just leave physical stars, the emotional wounds left behind can take months and often years to heal. And when a woman lives with an abusive man, leaving the situation can be extremely stressful. They need to get the children, pack their belongings, find a new home, and pay for the move. That alone can stop people from escaping their tormentors. 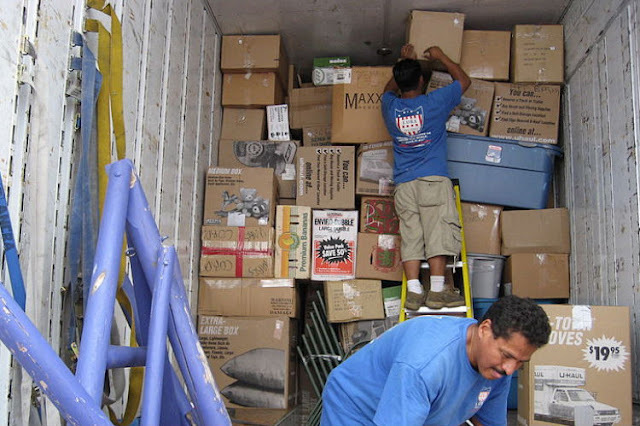 But a California-based moving company has stepped in to help victims of domestic violence. Meathead Movers offers abuse survivors a move – completely free of charge! The moving company, which was founded in 1997 by student athletes, recently partnered with domestic violence-prevention nonprofit Good Shepherd to help those fleeing abusive situations move for free. “It’s unimaginable to think about a woman and her children trying to pack up all their belongings and flee before the abuser returns home,” CEO Aaron Steed said. What do you think about this way of helping those in need?